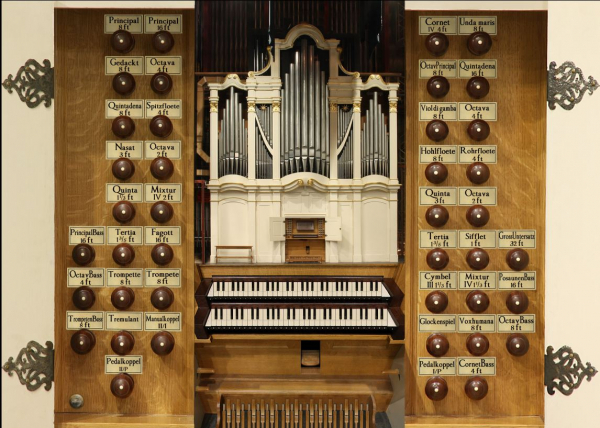 The two-manual tracker organ owned by the Chico State University (California) was built by Munetaka Yokota according to the aesthetic and artistic principles of Gottfried Silbermann. The special and unique feature of the instrument is the way it was built. David Rothe, professor and university organist from 1968 to 2008, first met Munetaka Yokota when Yokota was an apprentice of the great American organ builder John Brombaugh. Together, Yokota and Rothe conceived of the idea of building the new organ “on site” in the same way that organs were built several centuries ago. Subsequently, thanks to the efforts of Rothe, Munetaka Yokota was hired by the university as an “artist in residence” for several years to focus on the building of the organ. 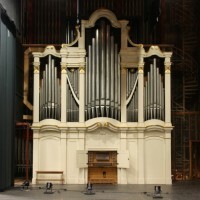 In 1990, the organ had been meticulously completed, and it since gained an international reputation. 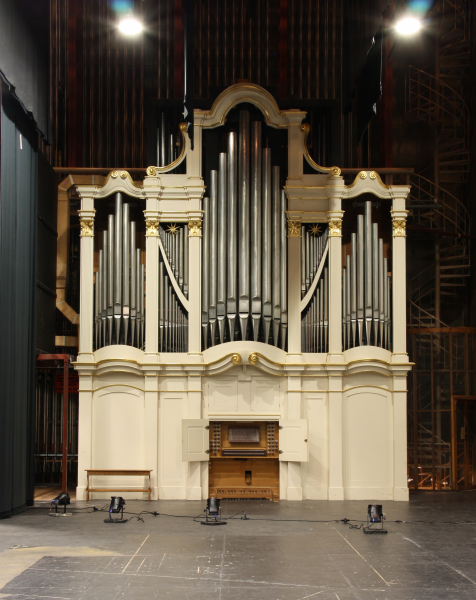 The organ’s disposition is influenced largely by the style of Gottfried Silbermann, but given its installation and use in a modern American university, there are additional features as well that come from later organ building. These include the undulating “Unda maris” celeste stop on the Oberwerk, the fact that the Oberwerk is enclosed in a Swell box, and a normal set of unison couplers (beyond what Silbermann usually built). The organ’s two trumpet stops are also in different national styles: German (Hauptwerk) and French (Oberwerk). 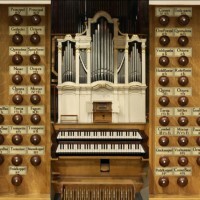 Two different Zimbelsterns, a Vogelsang, and a mechanical Glockenspiel provide a full bevy of “toy stops,” even on this medium-small size organ.